Five days after Massachusetts lawmakers blew through key deadlines on the state budget and an overhaul of the marijuana legalization law, tensions between the Democratic-controlled House and the Democratic-controlled Senate burbled into public view Wednesday night. 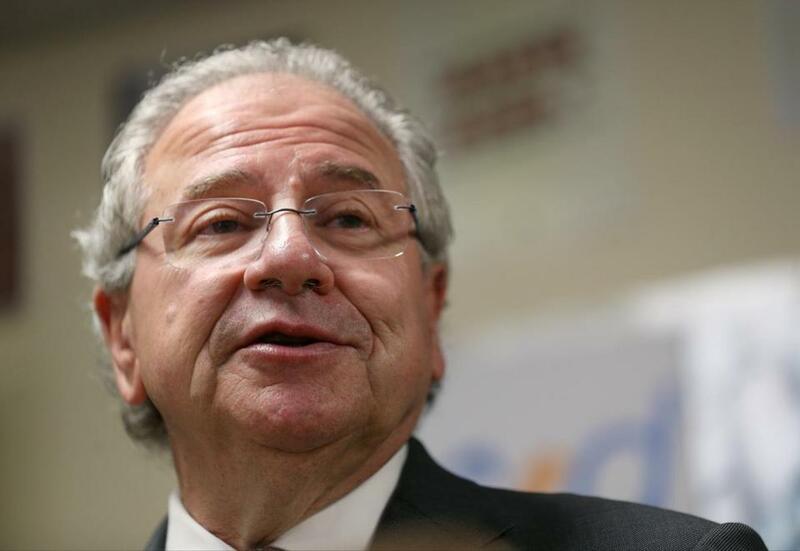 In a cryptic statement, House Speaker Robert A. DeLeo suspended House-Senate negotiations over how to rewrite the state’s voter-passed legalization law, citing stalled legislative efforts to craft a compromise on the budget. “To remove any distractions, and because of the number of critical needs that hinge on our budget — particularly programs that care for the neediest among us — I have asked that the House members of the marijuana conference committee suspend negotiations until the budget is complete,” DeLeo, a Winthrop Democrat, said. The unusual announcement marked the latest twist in lawmakers’ labyrinthine and often opaque effort to change the pot law passed by 1.8 million voters in November. It could further stall the rewrite, less than a week after legislators whiffed on their self-imposed deadline. The speaker’s statement drew a swift retort from Senate President Stanley C. Rosenberg, an Amherst Democrat who insisted negotiations on both fronts could continue. “The mischief makers are once again at work,” Rosenberg said, without specifying who, exactly, is making mischief. “The Senate has not and will not link the budget and marijuana negotiations. Period. The Senate is fully committed to continuing negotiations on both the budget and marijuana legislation simultaneously,” he said in a statement. A half-dozen lawmakers — three senators, three representatives — meeting in secret have been trying to craft a compromise, but they missed their June 30 deadline to send a final bill to Governor Charlie Baker. Lawmakers have been mum on the particular holdups, but taxes and local control are areas where the chambers’ bills were far apart. Meanwhile, the House and Senate have been negotiating for weeks behind closed doors over the state budget, the yearly $40 billion spending plan that was supposed to be sent to the governor before the new fiscal year began on Saturday. Both the House and Senate passed their versions of a spending plan weeks ago. But both were premised on state tax revenue growing at 3.9 percent, a figure that is now seen as far too optimistic. Figuring out what to chop from the state budget could be a factor in the delay, though negotiations are tightly held. A $5.2 billion temporary budget was passed late last month, so state services have continued and Massachusetts has avoided a shutdown. Less than an hour later, DeLeo released a statement saying the House believes a budget should be sent to Baker this week. And that, in turn, prompted the 7:15 p.m. statement from Rosenberg. The strange turn of events brought something of a muffled cheer from the advocates who wrote and campaigned for the marijuana ballot question, and have long said lawmakers should leave it be for now. If legislators fail to pass a rewrite of the ballot question, it will remain on the books, more or less as voters passed it. In December, with no public hearings and no formal public notice, a few lawmakers passed a measure to delay the likely opening date for recreational marijuana stores in Massachusetts by half a year — from January to July 2018. They delayed in order to give themselves extra time to rewrite the law. Surely, they thought, six months would be enough time.